About a month ago, I announced that I was starting a new skincare routine. I made the RoC® Retinol Resolution to take better care of my skin and use RoC® Retinol Correxion® Deep Wrinkle Night Cream every night. I’m excited to share my results with you. This post was sponsored by RoC® Skincare as part of an Influencer Activation for Influence Central. I received complimentary products to facilitate my review. All thoughts and opinions shared here are my own. If you missed my first post about my skincare routine, you can check it out here. Admittedly, my new skincare routine can definitely use some work. But even with all the mishaps I’ve had like not getting enough sleep or drinking enough water, I’ve still noticed improvements. 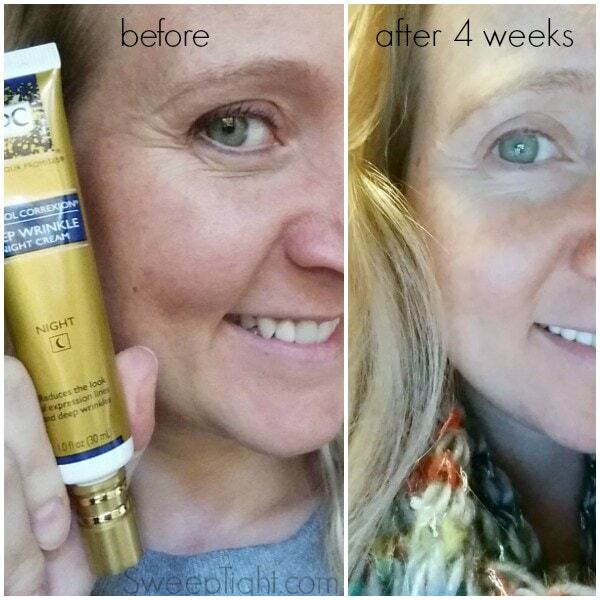 It’s all thanks to RoC® Retinol Correxion® Deep Wrinkle Night Cream. I found that using it every night was a bit too much for my sensitive skin so I switched to every other night. The mornings after wearing it, my skin felt tighter. On my off days, I didn’t wear anything after washing my face–from now on I plan to use a light moisturizer because winter has sucked every bit of humidity out of the air here. 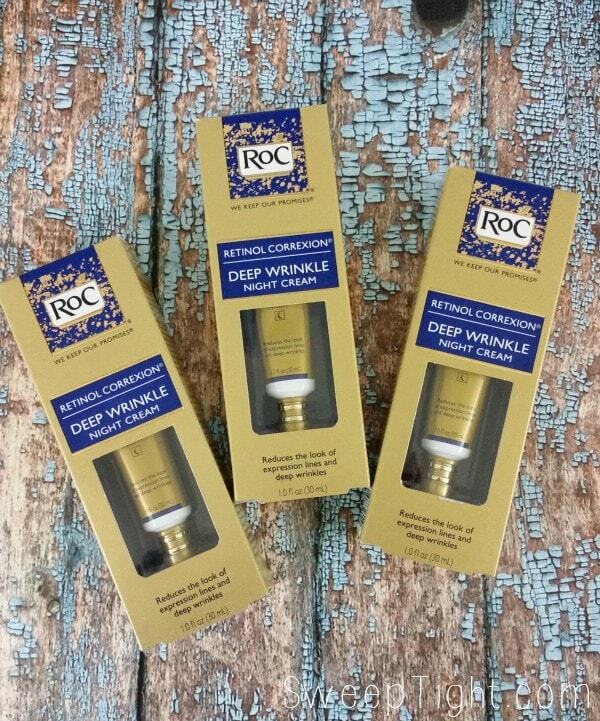 Moving forward, I plan to keep using the RoC® Retinol Correxion® Deep Wrinkle Night Cream every other night. I love the way this product feels and smells. In fact, I found it on a great deal so I even bought three more tubes to either keep or give as gifts to my girlfriends! Taking care of our skin is so important. The skin on our faces is something we show to the world on a daily basis. I want to feel comfortable as I age, knowing that any wrinkles I’ve earned are from all my happy smiles and funny faces–not from sun damage and poor health. The way I look at it, I don’t hate wrinkles. I just want them to be lines of wisdom and comedy, not those of regrettable decisions. RoC® Retinol is up to 2x stronger than imitators based on vitro Retinol activity in RoC® Retinol Correxion® Deep Wrinkle Night Cream. With the new year just around the corner, I resolve to continue using this night cream and get more sleep and drink more water. AND, most importantly, to keep smiling and laughing so hard I can’t see–the real reason for my wrinkles. 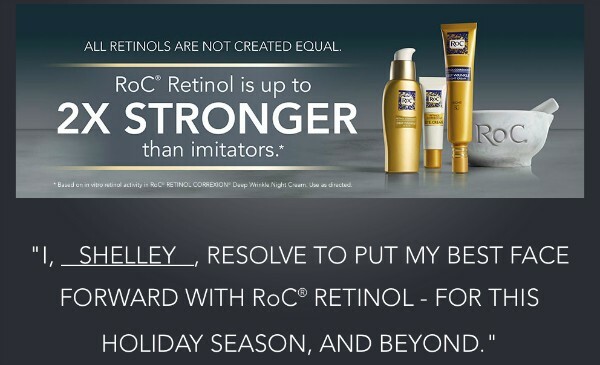 Get your RoC® Retinol Correxion® Deep Wrinkle Night Cream here and snag some as a holiday gift while you’re at it. It’s a perfect stocking stuffer for adults. Also, don’t forget to enter the #RoCRetinolResolution sweepstakes for a chance to win amazing prizes, including a $5,000 shopping spree! Do you plan to update your skincare routine with Retinol to fight wrinkles?